A great new way to share your music doubleTwist Sync for Windows is here! It’s no secret that at doubleTwist, we’re constantly working on improving the design and usability of our apps. You can read about our long design process for something as ‘simple’ as an Alarm Clock app – we are still very proud of doubleTwist Alarm, and its success! 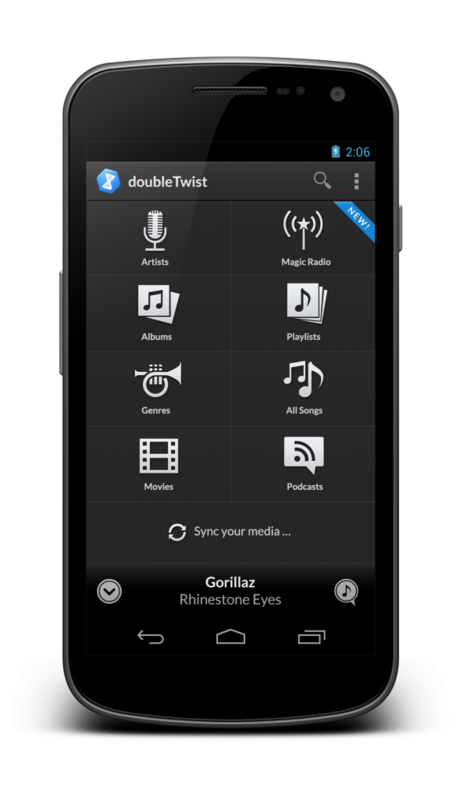 For our latest major release, the newly updated doubleTwist player, I’d like to take a little trip down memory lane so I can explain what made us a little slower to introduce this new, ‘Holo’ version of doubleTwist. 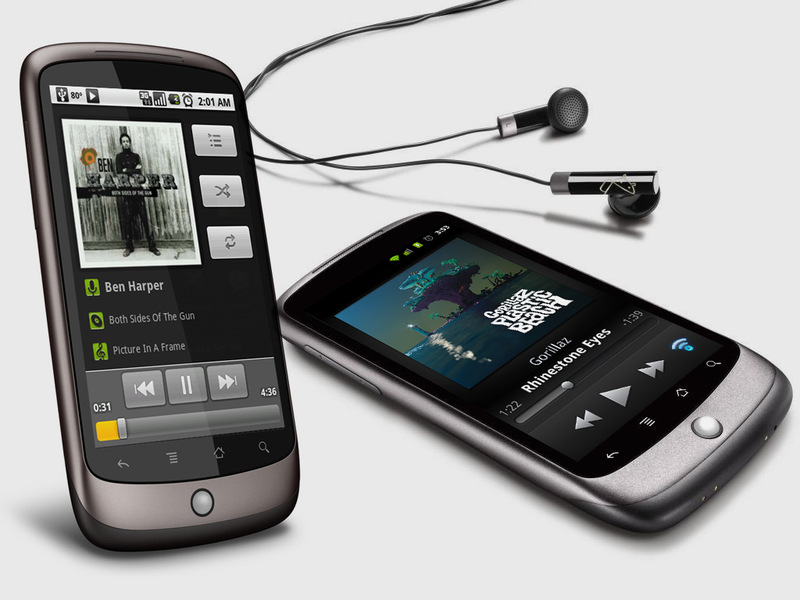 In fact, it was a given that Android was still in a phase of dynamic and constant change. The user interface of Android was simply struggling to find an identity, a visual style that it could truly own and be recognized by. At doubleTwist, we’d certainly found our own look and feel, but it’s a real challenge for a designer to come up with a design for an application on a platform that hasn’t truly found its own ‘native’ appearance yet. 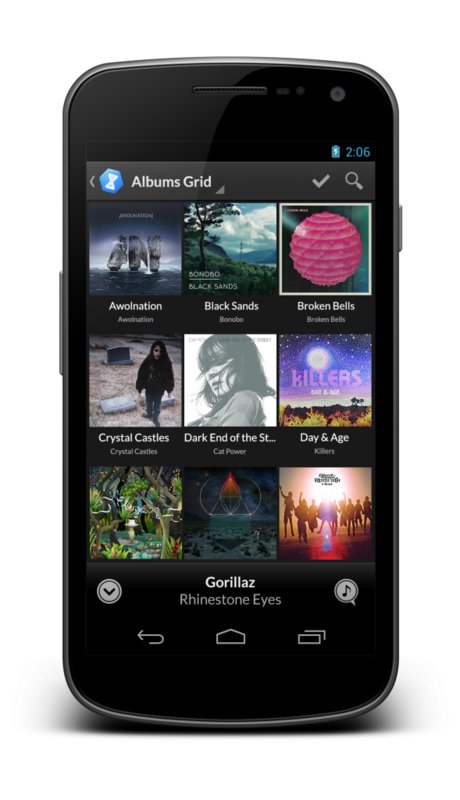 Not only was Android rather garish looking, it was also changing its UI guidelines and styles very often. When we first launched, it had just made several complete U-turns on design guidelines: for instance, where Google at first advised icons to be designed in a slanted, 3D perspective, icons were now to be flat, without any kind of perspective, using minimal decoration. This trend of sudden drastic changes in design styles continued as Android grew older: the system font for Android changed, green and orange highlight colors were phased out, and with Android version 3.0 a new design style called ‘Holo’ was introduced. I was very interested in Holo: I felt like the design team at Google was on to something with its simple lines and flat surfaces. However, as you may be able to understand from our history (and Android’s! ), we were reluctant to adopt an entirely new design style for doubleTwist. We hadn’t simply pushed out a design and maintained its appearance: as Android shifted in its user interface conventions and appearance, we tried our best to change with it and look like we belonged and fit in, without investing too much into the visual style of a single Android release. Fortunately for us and all developers, Google stuck to Holo – and while it is refining the style, its basic concepts and core principles remain somewhat consistent. We’ve waited long enough: it’s time for doubleTwist to adapt. We’ve heard your requests and Google’s and we’re now pushing out what is the first part of a major redesign: the Holo Release, stage 1. We haven’t simply adopted Holo, but worked to incorporate everything great about Google’s latest and best designs to bring doubleTwist fully in line with their conventions and design patterns. Navigation throughout the app now uses the Up button, we use the system action bar with accessible actions for any screen (for instance, switching between methods of viewing albums in Album view), but we haven’t lost our smooth and good-looking dark style in the process. We took a lot of care to balance the clean and crisp look of Holo with our own aesthetic and I think it turned out fantastic. 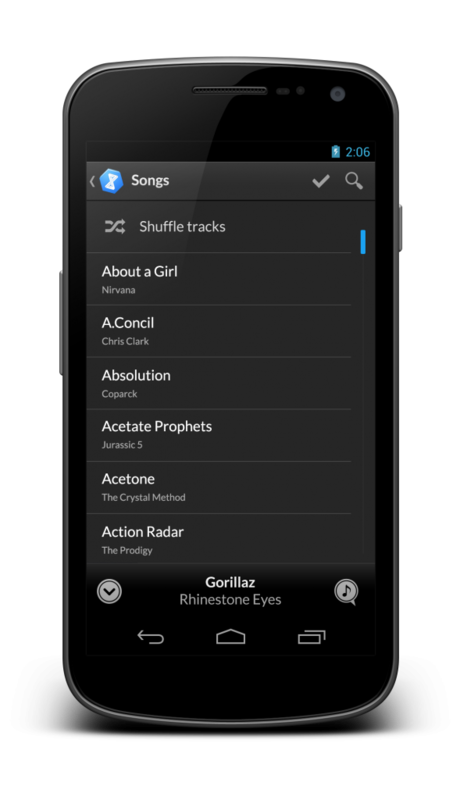 doubleTwist Player now has a whole slew of new screens that work in both portrait and landscape, with often optimized layouts for landscape devices and usage modes. But hopefully you’ll also see smaller changes: with the care we put into typographically redesigning every single view and changing the color and layout to be more pleasing, something as simple as a list view of songs now looks fantastic. We really minded the details: even though we had very intensely custom-designed alert dialogs and prompts in the past, but we’ve completely redesigned these to be Holo-compliant. Our new alerts are lightweight and designed with clean, well laid out typography and with occasional use of color highlights. All in all, we left no stone untouched. From the basic look and feel of icons in the main grid view, to the actual little app icon, to the smoothness of animations, we’ve worked very hard to make this new, lighter and redesigned doubleTwist a pleasure to use and feel absolutely perfectly at home on Android – right now, and in the future. 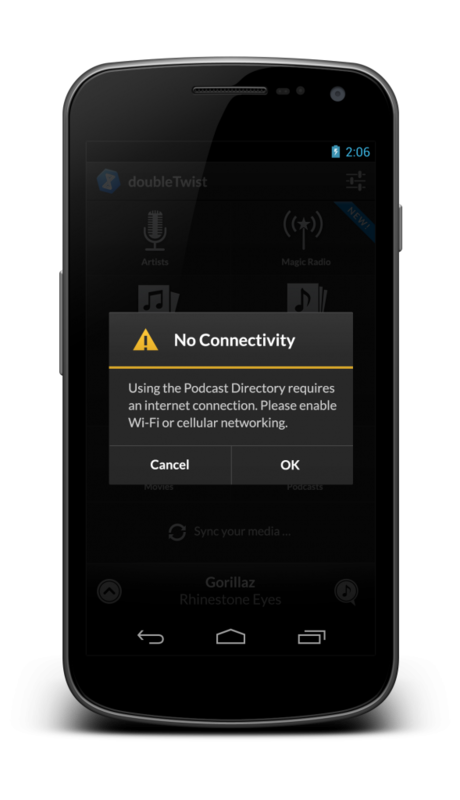 We have more drastic changes and improvements planned for the future that will bring the doubleTwist experience to even more devices. 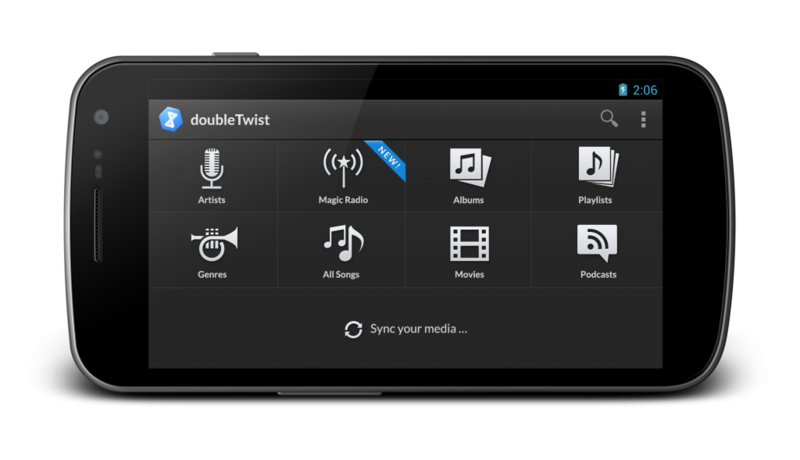 We are also optimizing doubleTwist for larger screens and devices to create a stellar app that will blow you away. We hope you expect nothing less from us. doubleTwist is handcrafted with ❤ in San Francisco.